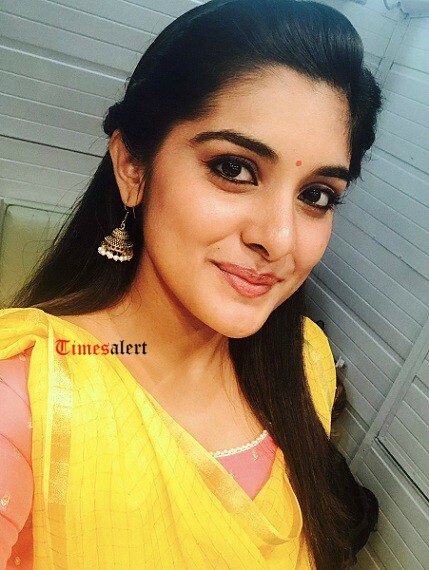 Nivetha Thomas Biography, wiki, Height, Weight, Age, Affairs, Body Measurements, Family, Education. Nivetha Thomas is an Indian actress who works majorly for Tamil, Malayalam, and Telugu movies. 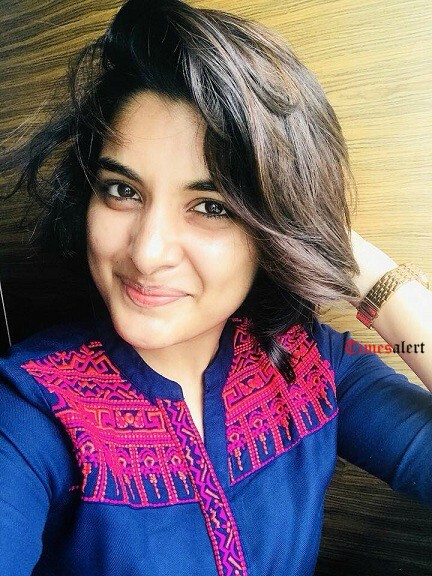 See Nivetha Thomas biography like age, height, the wiki will be available. 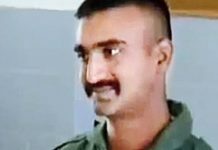 She was born in Cherupuzha, Kerala on 15th October 1995 (age 22). 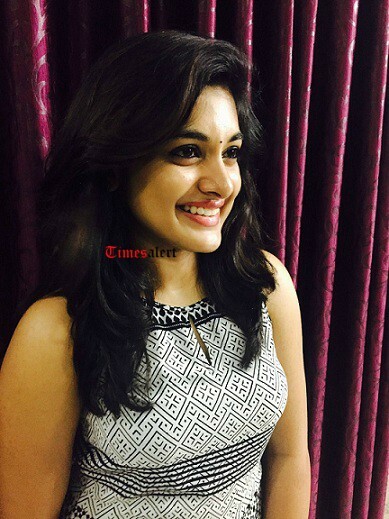 Nivetha Thomas height, she is 4 feet 11 inches. Converting into centimetres, her height is 152 cm (1.52 metres). Her weight is 51 kgs. 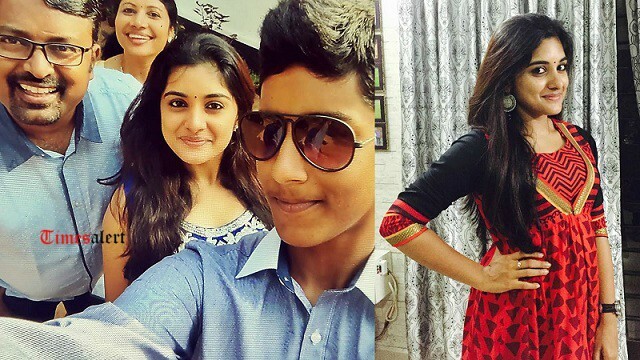 Here come the Nivetha Thomas family details. She is the daughter of Thomas and Lilly. Also, all the movie details of Nivetha Thomas will be updated here. We provide you with the complete details of Nivetha Thomas movies. She completed her schooling at Montfort Higher Secondary School, Chennai. 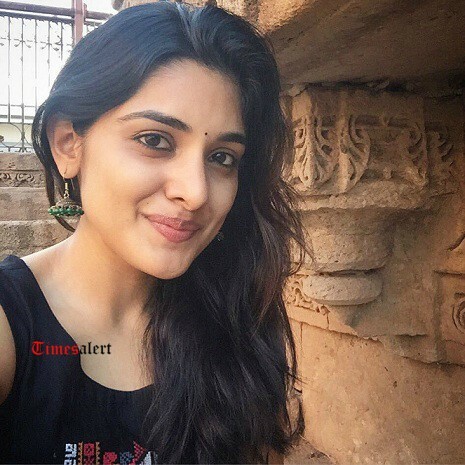 At present, Nivetha Thomas is pursuing architecture at SRM University. Also, she acted in several films as a child artist. As a child artist, she acted in the movies Veruthe Oru Bharya, Kuruvi, and also Madhya Venal. She made her debut in the Tollywood industry with gentleman movie playing the female lead role opposite to Nani. Gentleman movie is a commercial success. Recent movies of Nivetha Thomas in Telugu Ninnu Kori and Jai Lava Kusa has given a blockbuster hit at the box office. She worked for many movies as a child artist and started acting at the age of 8. Nivetha Thomas has won Kerala State Film Award for Best Child Artist for the film Veruthe Oru Bharya. She has won SIIMA award for best debut actress Telugu for the Gentleman movie. She also acted in SUN TV serials as a child artist. Nominated for Filmfare Award for Best Actress Telugu with Gentleman movie. Nivetha Thomas remuneration for a movie is 50 lakhs. Also, she played the role of Eleena in Romans movie which is a super hit. Her acting in the Papanasam movie has attracted the audience. 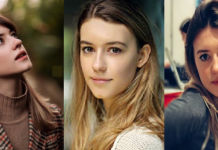 She is playing the role of Juliet Lover Of Idiot Telugu movie which is now in the post-production phase while Ajay Vodhirala is the director of the film. Also, Nivetha Thomas upcoming movie is Ayushman Bhava which is bilingual in Telugu and Kannada languages. Let us wait for Nivetha Thomas upcoming movies release. For all the latest updates of Nivetha Thomas follow facebook and twitter posts.